Comments: Can grow with abundant moisture or where it is mdry for half the year or more. 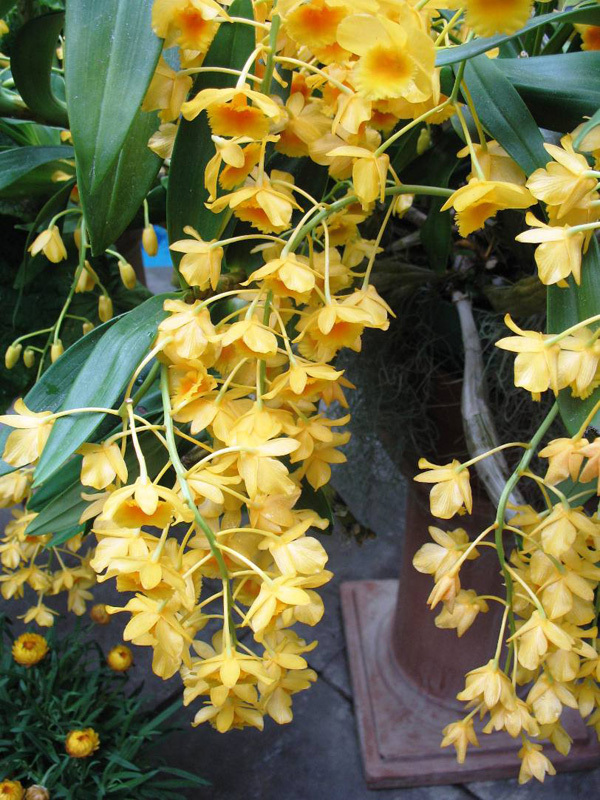 Many yellow flowers are produced in spring and summer and they have a delightful, mango-like fragrance. Where light is bright this species makes a good choice for indoors. Grows in deciduous trees and is adapted to sun or shade for this reason.